Bill McBean spent many of his nearly forty years as a successful business owner in the automobile industry where, among many other achievements, he purchased several underperforming dealerships and turned them into a successful business enterprise with yearly sales of more than $160 million. 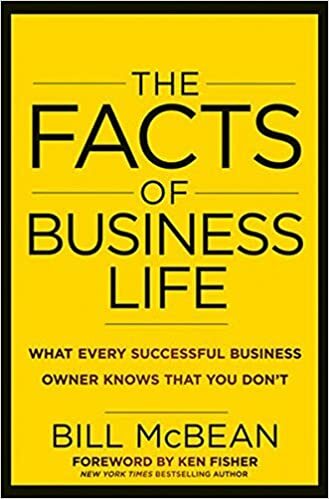 In his new book, The Facts of Business Life, McBean explains the seven facts that profitable business owners use every day to run their businesses and to stay ahead of their competition. Click here to get more information on The Facts of Business Life. Is Followership More Important than Leadership?